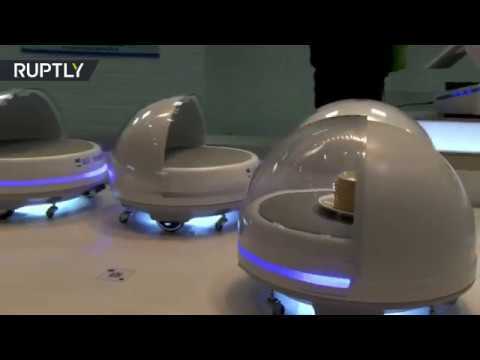 Robot waiters serve guests at Alibaba’s Shanghai restaurant | We Seek the Truth! Robots do all the waiting at Alibaba’s new ‘Robot.He’ seafood restaurant in Shanghai, as seen on Wednesday. The efficiency of robot waiters is 9-10 times higher than that of humans but with lower costs, according to Weng Wei, manager of the creation division. What do you think of this?